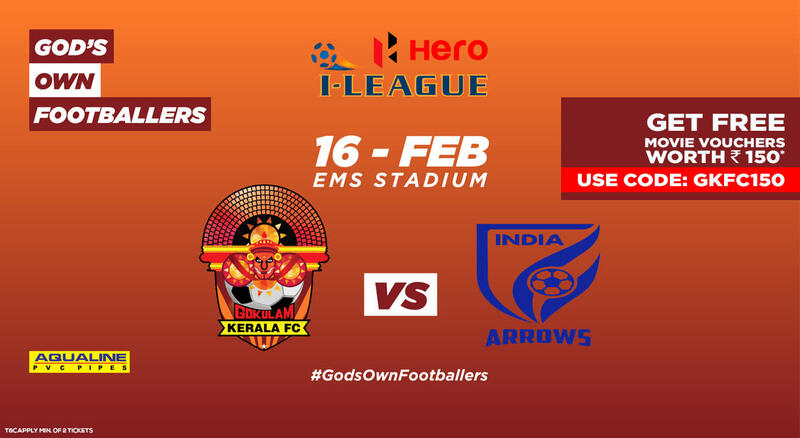 Watch Gokulam Kerala FC take on Indian Arrows in their home game in Hero I-League 2018-19. Gokulam Kerala Football Club is a professional football club based in Kozhikode, Kerala. The club began competing in the I-League, the first division of Indian football, in the 2017–18 I-League season. They also run a team in the Indian Women's League. Nicknamed the Malabarians, the team is the only team participating from Kerala in the national top division, and plays home matches from EMS Corporation Stadium, Kozhikode, which has a capacity of 75,000. The head coach of the team is Bino George. Hero I-League is the India’s first division football competition with a total of 11 teams competing for the national championship title. I-League started in 2007-08 which was won by Dempo Sports Club. The current season is the 12th edition, and Minerva Punjab are the defending champions. The current teams are: Aizawl, Chennai City, Churchill Brothers, East Bengal, Gokulam Kerala, Indian Arrows, Minerva Punjab, Mohun Bagan, NEROCA, Real Kashmir, Shillong Lajong. The 2018-19 tournament starts on 28 October 2018 and ends up 3 March 2019. Looking for more? Check out all other home games of Gokulam Kerala FC here.